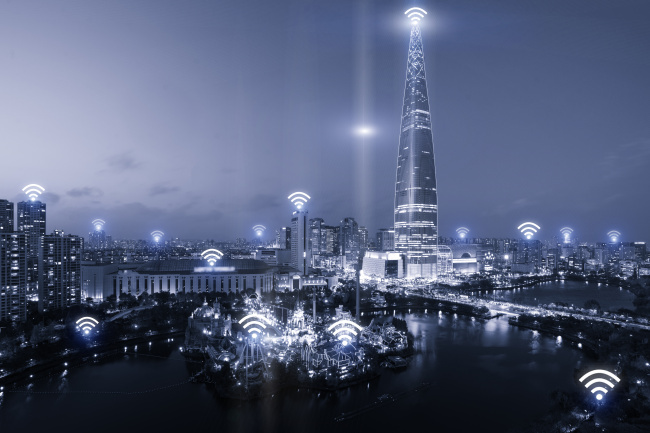 The Seoul Metropolitan Government is seeking to solve urban problems by turning to new and existing Internet of Things technologies, a Seoul city official said Wednesday. In efforts to improve the safety and quality-of-life of Seoulites, the city government has made an aggressive investment of 2.7 billion won ($2.54 million) into 12 sites across the city from its yearly budget. A carbon monoxide sensor will be attached inside all tents at the city-owned camping grounds in order to prevent fire smoke-induced asphyxiation. When the carbon monoxide level exceeds a certain level, an alarm detecting potential fire will be sent to the system manager. The city will also attach sensors inside taxis for people with a disability in order to monitor vehicles‘ errors, speed and route of operation. The IoT technology will be used for regulating and monitoring the odor from the septic tank, which is mainly difficult to care for due to it being underground. If the odor reduction device malfunctions, a text message will notify the system manager of the situation. For complex underground shopping malls, customers will be given accurate navigation guidance, pinpointing the locations of shops, evacuation routes, automated external defibrillators and initial point of fires. They plan on allocating funds up to 20 million won ($18,800) for businesses and startups involved in IoT technology.